You can schedule a guided tour for any day and time but please call or email at least one day ahead (and provide a phone number). 13 stops, one for each of the original states! 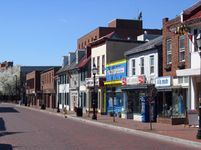 Where did Thomas Jefferson live when he first arrived in Annapolis in 1783? 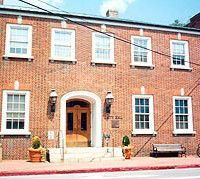 Go inside the building where he rented a room for the first two months of the 1783-84 congressional session--it's the Annapolis Visitors Center. 30 West Street. 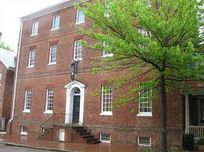 Where did Thomas Jefferson and James Monroe live when they roomed together in Annapolis in 1784? Hint: This is where they hired a French chef to cook all of their meals. Jefferson and Monroe roomed together for a little over two months before Jefferson was appointed to France. (It's a courthouse now so you can't go inside.) 8 Church Circle. The Treaty of Paris Trail begins with a tunnel that shows how Congress would have fled the advancing British army if Annapolis had come under attack. The tunnel became unnecessary when the Treaty of Paris was signed in France on September 3, 1783, which ended the war before Congress arrived in Annapolis. Go inside the coffee shop--it's under the hotel--and ask them to see the tunnel. 16 Church Circle. Before you enter the Maryland State House, look at one of the exterior signs that summarize all of the important events that took place in Annapolis during the Treaty of Paris Period from 1783-87. 100 State Circle. Go inside the Maryland State House and see where Congress met from 1783-84, after the Revolutionary War, when Congress accepted George Washington's resignation from the Army, ratified the Treaty of Paris and appointed Thomas Jefferson to France. 100 State Circle. See one of the first homes of Samuel Chase, who signed the Mount Vernon Compact in 1785 as part of the Maryland delegation that negotiated the use of the Potomac River with delegates from Virginia. 22 Maryland Avenue. This is where Matthias Hammond lived from 1774 - 1786. Construction began on the house in 1774, the year of the first Continental Congress. Matthias Hammond left Annapolis in 1776 and died in 1786, just as the Treaty of Paris Period came to an end.  19 Maryland Avenue. Stop #9: The "Annapolis White House"
See where Washington's resignation dinner was held. Go inside and learn how the wine for this feast was selected by Thomas Jefferson from George Mann's private collection. This site is now occupied by Annapolis City Hall so you can't go inside. 160 Duke of Gloucester Street. Where Washington lodged and wrote his speech resigning from the Army in 1783; also where the 1786 Annapolis Convention covened (where James Madison and Alexander Hamilton called for a new Constitution). Now a fenced-in gravel lot between 164 Conduit St. and a parking garage. See where George Washington stayed after he became president (when he returned to Annapolis in 1791). This building did not exist in 1783. 162 Conduit Street. 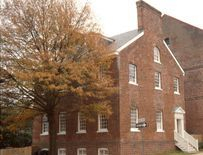 The Treaty of Paris Trail concludes with the building that now stands on the site of the boarding houses rented out by George Mann, including the lot where Mann's Tavern once stood. It was here that George Mann rented out rooms long-term before he built the City Hotel. 164 Conduit Street. Guided tours are arranged by phone or email and leave from The Hall of Presidents Before Washington in the Westin on West Street. 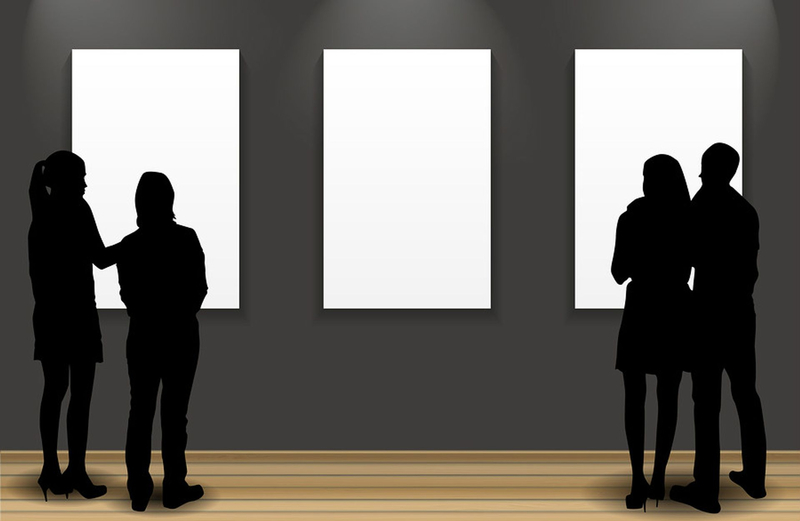 The guided tour lasts about 120 minutes.